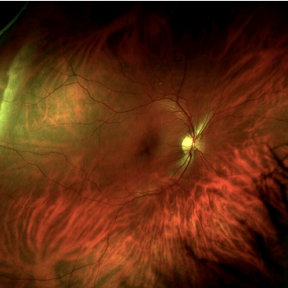 In our continued efforts to bring the most advanced technology to our patients, Exeter Eye Associates is proud to announce the inclusion of the Optomap retinal exam as an integral part of your annual eye examination. 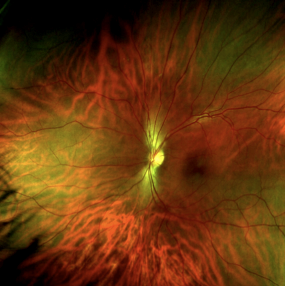 The Optomap lets our doctors easily screen for retinal problems including macular degeneration, glaucoma, retinal holds or detachments, and systemic diseases such as diabetes, high blood pressure , stroke, and cholesterol. These conditions can lead to serious health problems, including partial loss of vision or blindness, and often develop without warning and progress with no symptoms. The Optomap will document your eyes present condition with a baseline digital image allowing our doctors to detect changes over time. The Optomap exam is fast, easy, and comfortable. No eye drops. No blurry vision. So you can go right back to work or school . . . if you really want to.